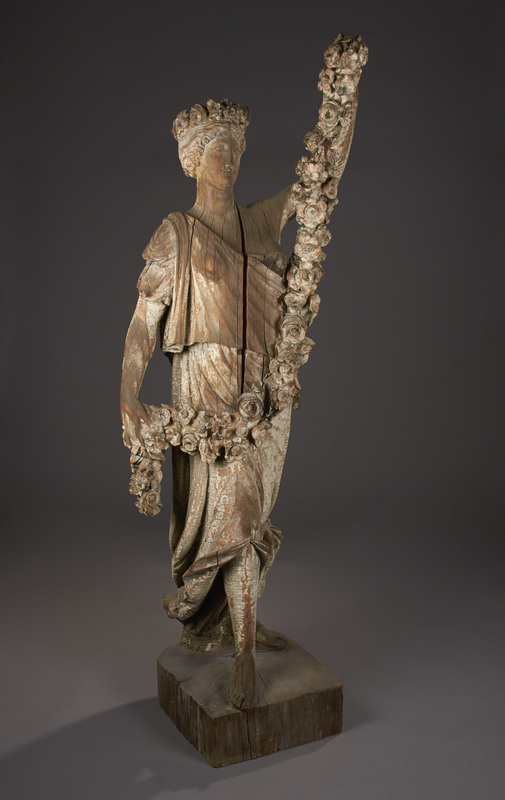 H: 78"; W: 31"; D: 22"
This carved figure of Spring has a history in the city of Beacon, Duchess County, New York. 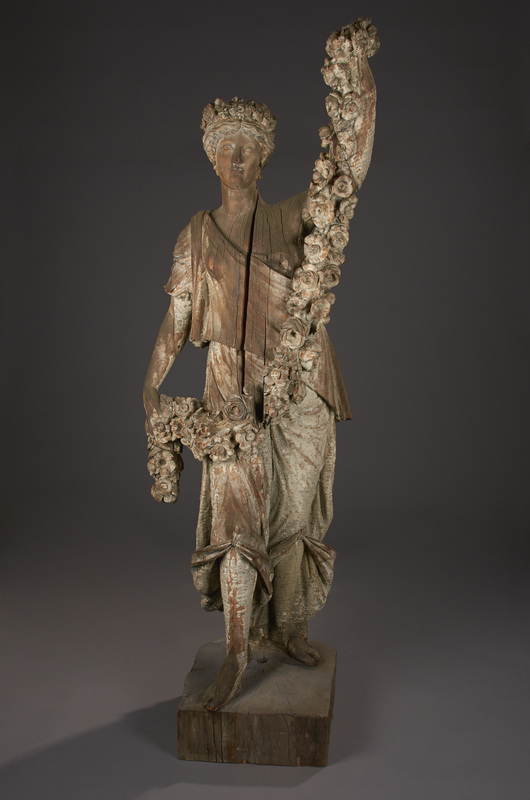 Beacon had a period of prosperity in the late 19th century and this figure likely decorated a commercial building there. Good condition, half of the base has been replaced; age cracks and minor losses.